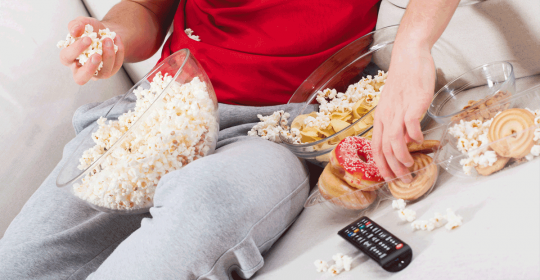 Somehow we always knew that being a lazy couch potato and watching TV for hours is definitively not making us smarter. Now we have scientific back up. A new study was presented at the Alzheimer’s Association International Conference (AAIC) 2015. Researchers found that people who are less physical active in early adulthood had worse cognitive functions later in life. The same link was found between excessive TV viewing and worse cognitive functions later in life. Excessive TV viewing means more than 4 hours per day. said Kristine Yaffe, MD, University of California. The findings “suggest that behaviors affecting brain health may be important even before middle or late age,” said Tina Hoang, The Veterans Health Research Institute. Well, actually we know this since the 1st and early 2nd century. The Roman poet Juvenal said “Mens sana in corpore sano” which means “a sound mind in a sound body” or “a healthy mind in a healthy body”.